Over Under Sportfishing has put together some exciting & affordable Fort Lauderdale Fishing Packages!! We've done the work for you...a top notch charter company with accommodations at the Doubletree Gallery One Resort, conveniently located close to Fort Lauderdale beaches, shopping, restaurants and Las Olas Blvd. 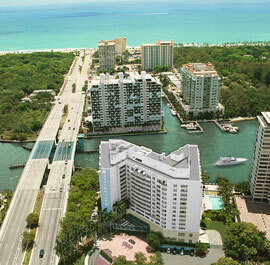 Fort Lauderdale offers fantastic fishing so let create your next Ft. Lauderdale Fishing Vacation! Over Under Adventures prides itself on being able to deliver the best Fort Lauderdale Fishing Charter Experiences! Captain Joe McGivern has been fishing these waters for many years and is a proven tournament winner in both swordfishing & sailfishig. You’ll find the run to the Ft. Lauderdale Fishing grounds is only minutes away allowing for lots of actual fishing time. Depending on the season Swordfish, Marlin, Dolphin, Snapper, Grouper, Kingfish, Tuna, Cobia, Amberjack, Sharks, Sailfish, Barracuda and Wahoo are all accessible close by. There is an offshore coral reel along with some wrecks that allow access to some great tasting fish. Fishing in Fort Lauderdale is very close and there are no lengthy runs to the fishing grounds. Off the coast of Fort Lauderdale is one of the best places for Ft. Lauderdale Swordfishing! 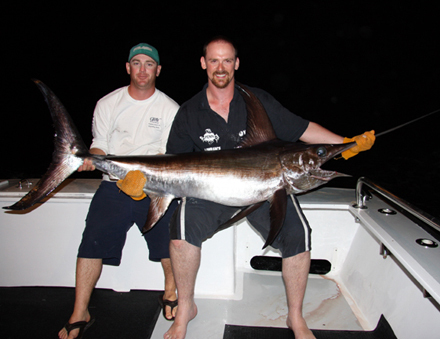 Check out an 8 hour night-time Florida swordfish charter for some great action! If you are a serious Sailfish Tournament angler, then definitely consider our Ft Lauderdale Sportfishing boat for your next event. We compete in all major Florida Sailfish Tournaments and our Fort Lauderdale boat is ready to go at a moment’s notice with all the best in Sailfish tackle. We offer a variety of sample fishing packages already set up. However, if you don't see exactly what you're looking for let us create the ideal Fort Lauderdale Fishing Package for you, your family, corporate group or bachelor party. We will customize the trip to your needs, and weather conditions, allowing for the best mix of all the great fishing options here in Fort Lauderdale. Our Ft. Lauderdale Fishing Packages are all family and kid friendly, so bring everyone! 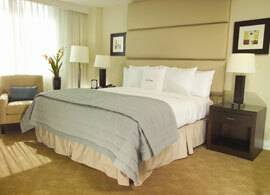 Packages include accommodations at the Gallery One Doubletree Resort and are based on double occupancy. 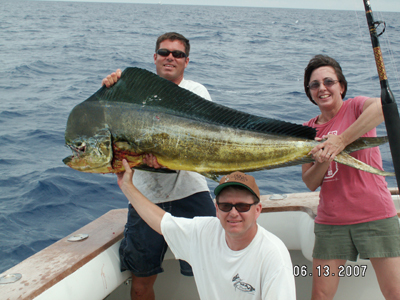 Also included is fishing on the Pima II (a 45' Cabo Express), crew, tackle and breakfast & lunch on your fishing days. 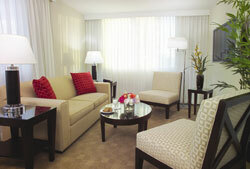 Rates exclude other meals, transportation, drinks and gratuity. Fish with the Pros - Fish with ! 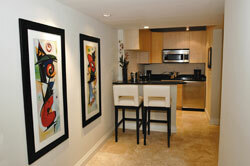 Pool, Beach and Bar in an all suites hotel complete with kitchens on the Intracoastal. Chef to prepare your catch! Call to book your Fort Lauderdale Fishing Vacation! Perfectly situated on the Intracoastal Waterway and featuring 231 suites, the Gallery One – A Doubletree Guest Suites is the city’s premier boutique hotel that exemplifies casual elegance and sophistication. Our superb location is an easy 2 block walk to the sparking waters of the Atlantic Ocean , directly adjacent to the Galleria Mall and most importantly only three miles to the docks where your adventure begins! The hotel features complimentary internet in our business center and public areas, an on site restaurant where Chef will cook your catch, in room dining, gym, the Hilton honors program and not to be left out, the famous Doubletree Chocolate Chip Cookie welcome. Call your Fort Lauderdale Fishing Package specialists to book your next Florida fishing vacation at 1-866-682-8862! !